"Don&apos;t worry, Zayn and Austin will be there next to you on the stage." Michael told Lauren as they drove to the nearest ESPN press room. "Dad, what if I make the wrong decision?" Lauren started getting nervous. "If I decide to go out of state, what happens to Camila and my daughter?" "You&apos;re a smart girl, Laur. You&apos;ll both figure it out." He shrugged as he pulled in the parking lot. "Are they all here for me?" The green eyed girl looked outside the window, noticing the many people waiting outside the door of the Press Room. They all had their phones and camera&apos;s out, seeing the 18 year exit her side of the car. The crowd swarmed her, flashing lights right at her face. Michael guarded his daughter until more security came out to help as well. They made it safely inside, where Zayn and Austin were waiting for her on stage. "Is it going to be like from now on?" Lauren widened her eyes, joining her two friends. The other high school football players who got recruited were all waiting for their turn. "You&apos;re pretty much like a pro athlete, Laur. You&apos;re going to be the first girl in the NCAA and its inevitable that you&apos;ll play in the NFL. The big league Coaches are already looking at you." Austin told the girl as the press started to take pictures of them. Make up artists and stage crew joined them, fixing any last minute changes to make sure the live broadcast runs smoothly. "Where do you want to go for college?" Lauren asked Austin. "I&apos;m not going to college." He shrugged, slightly smiling. "I&apos;m going to serve in the Marines." "That&apos;s amazing dude!" Lauren gave the boy a hug, congratulating him on the decision. "Live broadcast in 10 seconds!" The stage manager started counting down as the press settled down. Lauren started getting nervous, rethinking everything she planned. Camila sat back with her friends, watching the interview happen from the apartment. 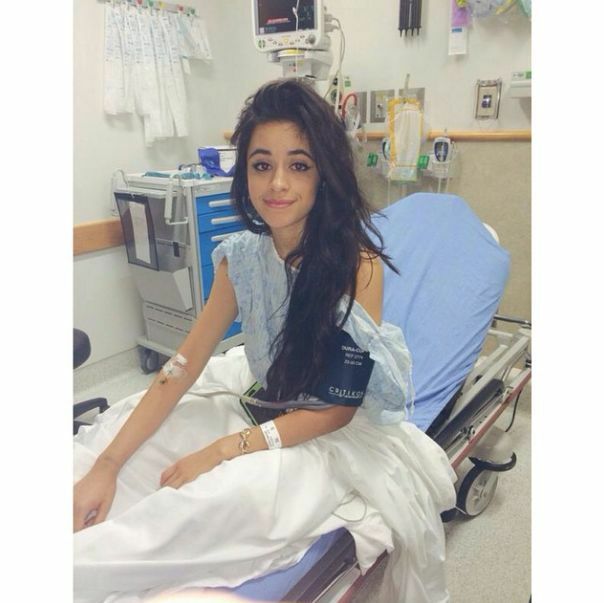 Despite her fight to go physically with Lauren, Camila waited back for her girlfriend. Everyone in the room went silent as the TV&apos;s volume turned up. "Happy Thanksgiving to all viewers watching. Today is the day where all the top high school recruits will decide what school they will commit to. 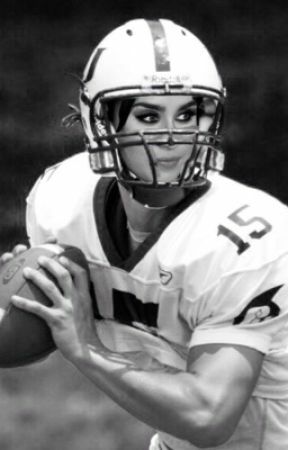 You&apos;re in for a treat because first up we have Lauren Jauregui, the quarterback of Riverbank High School. She is the very first girl to be offered a scholarship for football and boy, it seems like every school wants her! Let&apos;s see what she has to say." Interviewer: How does it feel to be the very first girl to be offered a football scholarship? Lauren: It feels great to know that no matter my condition, people treat me the way they would to any other great athlete. It&apos;s nice to also know that girls look up to me, because I feel like I can show them that they could achieve anything despite what their peers say. Interviewer: If you weren&apos;t playing football, what do you think you&apos;d pursue as a career? Lauren: I always thought that becoming a Doctor would be pretty cool. Interviewer: Why don&apos;t you major in nursing while you play for the NCAA? Lauren: That&apos;s the plan. Some schools have better nursing programs than others, but the other schools have better fitting football programs.